Where do I use my Shorefield Holidays voucher code? "Autumn breaks from only £109." As a family-owned business, Shorefield Holidays have been welcoming guests and visitors to their parks since 1958 and now operate 7 popular holiday parks across the UK. What makes customers return every year to a Shorefield resort is the enviable coastal location all 7 resorts proudly boast so you can guarantee a stunning sea view whichever Shorefield location you choose. Enjoy high-quality holiday accommodation including fully equipped chalets, caravans, holiday lodges, touring & camping pitches; something to suit everybody's taste and fulfil everyone's requirements. With an extensive array of leisure facilities perfect for families, kids and even adults, not to mention a huge variety of restaurants, bars and retails outlets and even Spa facilities, a Shorefield Holiday is a great choice for anyone travelling in the UK. If you’re indecisive about staying close to the beach, perhaps your countryside is more your taste? Maybe you want to be surrounded by plenty of fun-filled family attractions! The Oakdene Forest Park is the ideal location for you combining, fun, relaxation and nature. The tranquil location is set nearby the sandy stretch of Bournemouth famous for its pier and attractions. Fantastic family attractions such as Go Ape and Peppa Pig World are also in close reach, and the magnificent New Forest is just on your doorstep. Brilliant onsite activities such as a large indoor pool and seasonal outdoor pool. The Go Active+ programme includes a whole host of fun activities such as waterwalkerz, archery, body-zorbing and a state of the art gym! Fantastic food & drink is also available at the onsite restaurant and bar suitable for the whole family. Entertainment at the Oak Showbar at night will keep everybody on their toes. With a variety of self-catering accommodations to choose from basic to luxury, Oakdene Forest Park is awaiting you. Rated a 5-star holiday park, the fabulous Shorefield Country park is set across 100 acres of stunning parkland and positioned between the breathtaking New Forest and the coast. Perfectly located amidst a wide selection of attractions for the whole family, Shorefield holiday is the perfect base for exploration, relaxation and fun. Close by to the beach at Milford on Sea, you’re never too far from some seaside fun. Famous for its sandy beaches, piers and attractions, Bournemouth is also nearby; you’ll be spoilt for choice. If exploration is more your thing, check out the New Forest National Park home to ponies and deer. The park has great entertainment for all ages including an indoor swimming pool, nearby golf courses, horse riding stables, nature trails, cycle routes and fishing. What’s better, the beautiful surroundings will leave you speechless. There is plenty of onsite and offsite fun to be had at Shorefield Country Park whatever your preference. What is included in the Pitch Price? The price includes up to 6 people, car, tent, caravan or motorhome, awning and the use of all the leisure and entertainment facilities on our campsites. There are extra charges for pets, additional cars, pup tents and gazebos. Can I park on my pitch or close by? Yes, the pitch price includes one car. Additional vehicles will need to be left in the car park. Shorefield Holidays operate six holiday and leisure parks in the UK, all of which are located on the beautiful South Coast. They offer quality self-catering holiday accommodation in fully equipped chalets, caravans, holiday lodges as well as touring and camping pitches. The parks in Hampshire and Dorset provide holidaymakers with a great range of leisure facilities and activities and offer a wide choice of restaurants, bars and retail outlets. There is also the Reflections Elemis Day Spa at Shorefield Country Park for a touch of pampering and relaxation. 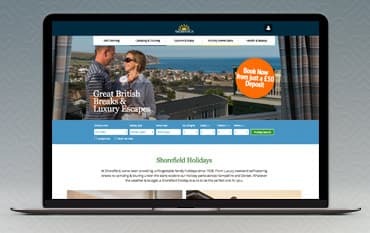 So, if you are searching for a fun-filled family holiday, an activity holiday or just a short break make sure you use a Shorefield Holidays voucher code to save on your next holiday. We are constantly on the hunt for Discount Codes for Shorefield Holidays to help you with your money saving. Our experts check dozens of sites for secret codes including NHS discounts, student sites & social media channels saving you time & money!